Schoox offers an intuitive, social and mobile interface that learners love. Our platform is perfect for hard-to-engage workers of any age, including Millennials. We believe training should be about results and we challenge the Learning Management System (LMS) status quo. While common LMSs have been built to manage the learning process in Schoox we put the employee at the center and help them learn and lead business growth. Schoox comes with a content management system that allows you to store, curate and share content. A unified repository for files and web resources. Are your training materials in 10 forms? No problem. 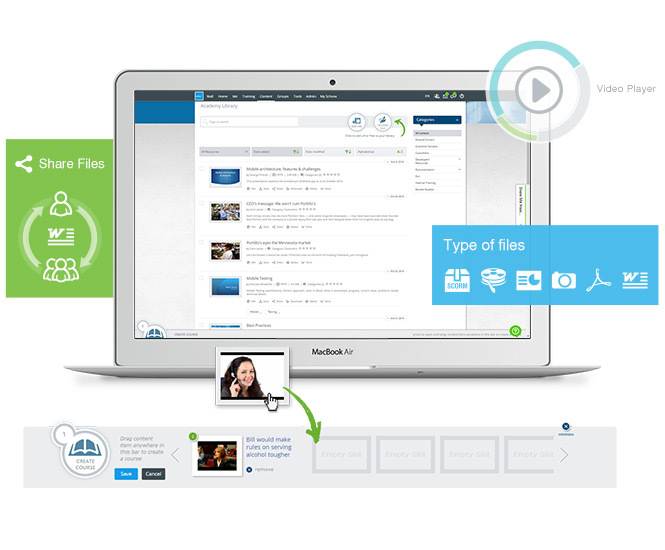 Schoox lets you upload virtually any file type instantly. You can also use our cutting-edge tools to add a web resource to your training library in seconds. With Schoox you are now able to measure the impact that training has in your business. 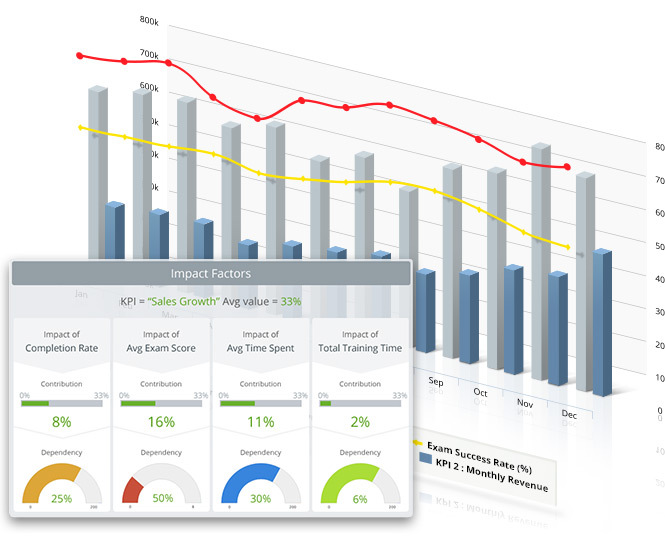 Correlate easily any KPI with your training metrics to discover any relationship and dependence between training and business performance. 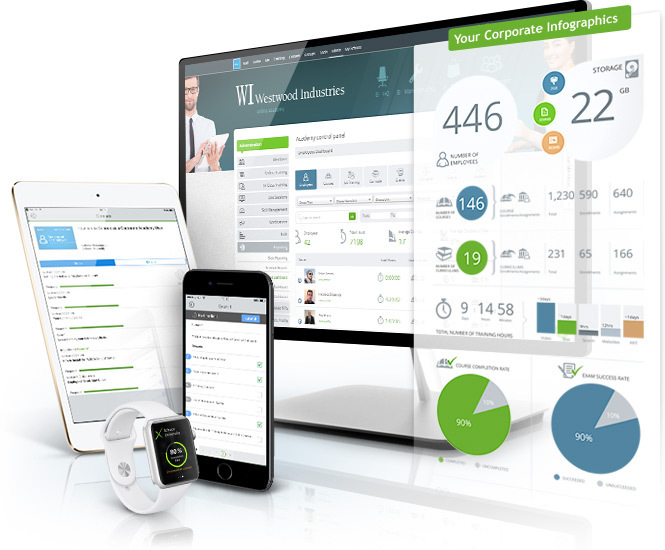 A unique and innovative tool that gives you all the power you need to set training goals and improve all aspects of your business whether it is sales, customer satisfaction or productivity. We go far beyond simply managing your learning process. We help employees learn, develop their skills and drive your business growth. With Schoox, we make it possible for users to learn Anywhere, Anytime and on Any Device. 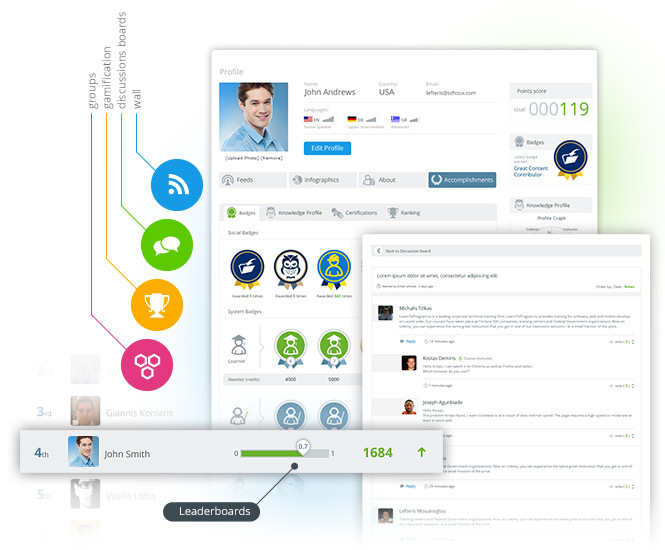 The social aspects of Schoox give you the freedom to collaborate and share best practices. You can use them or not, completely up to you. Onboarding is just the first step. Our goal is to maintain our 97% customer satisfaction with our clients by ensuring the highest adoption rate possible for your success and speediest implementation possible. We can integrate easily with your HCMS. Our open and development friendly API enriches your integration options in so many ways. In a crowded market with over 500 competitors Schoox stood out in just a few years to become one of the fastest growing Talent Development Systems because of our disruptive product approach, our vision to change the way organizations think of corporate training and talent development and our passion for happy customers.